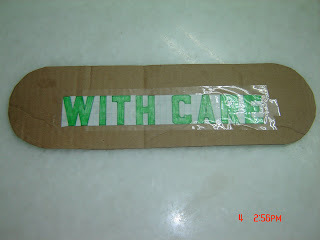 Creative Recyclers: A reminder that words can kill. A reminder that words can kill. So, you like my write up about props and would like to create your own? 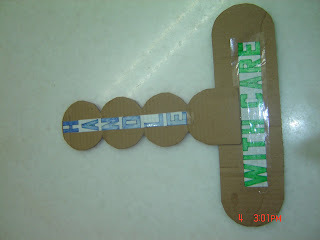 1) Create the handle and write the word "Handle" on it. The handle can be in any style you like. I have created mine by drawing circles that overlap one another. 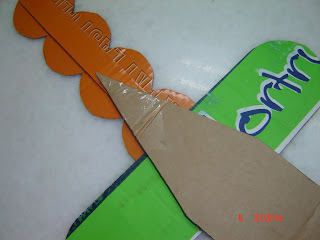 2) Reinforce the cardboard by stapling a narrow strip of cardboard to the back of the handle at the tip and mid section of the handle. 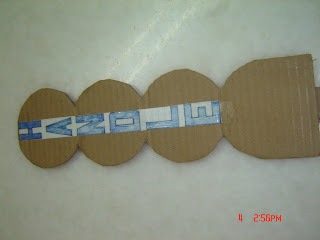 3) Create another piece to form the "T" of the handle. 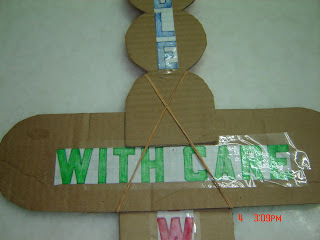 Write the words "With Care" on this piece. 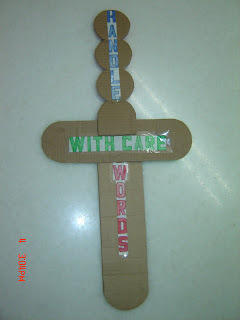 4) Create the sharp end of the sword and write the word "Swords" in the direction as shown in the picture. 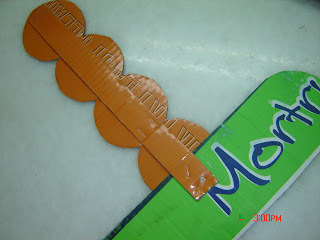 5) Staple the handle together as shown below. This is how it will look from the front. 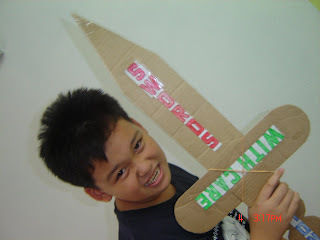 6) Place the pointed end of the sword on top of the handle, with words facing out. 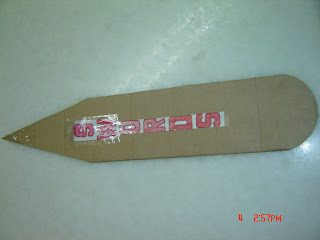 Turn it around to check to make sure that the handle covers the first letter, "S", of the word "SWORDS". 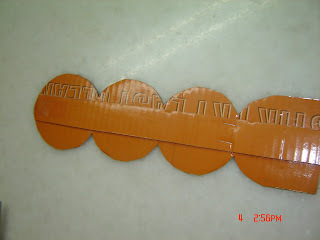 Use the rubberbands to hold them together. ... a picture like this when you cannot afford a serious actor.